The run up to the end of 2012 was a powerful time for our community. 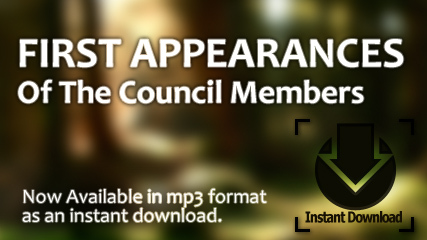 Listen to four of the October 2012 meetings FREE. A gift from me to you! Where is the place within you that you are not allowing for transformation? What is the thing you wish we would say to you? The answers were so revealing and powerful. The session lasted nearly two hours and was 95% Eloheim. The meeting focused on giving your attention to what is new within you. Using the ladder to get out of the hole, but understanding that it may not be easy and there may be fear. The Guardians: Go inwards. Don’t miss the opportunity available now. Grab it. Take 100% responsibility for everything in your life. Don’t think you can do things the old way and get new results. Chaos is here. You’ve been in a higher vibration, the ripples of that, your emanations, are coming back now. This requires even more consciousness, more discipline, more focus. 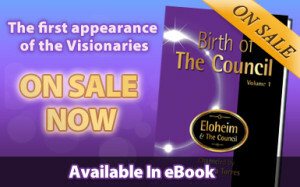 The Visionaries: This is a serious time frame. Take it one step at a time but state: “I want to live in the world in a new way.” Ask for insight for/about what is right here. Don’t fret !! 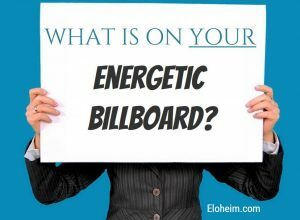 Eloheim: Started with the exercise: select 10 ads at random and see what they bring up in you, including underlying assumptions and messages. A simple exercise that cuts through the crap, and opens up possibilities and casts the net wide. Let go of certainty and try new things in a fun way. Get out of the corner. You don’t know anything because you’ve never been the “now” you before. Eloheim described a circle, with the new version of you being a thin sliver of the circle, maybe 10%. THAT is where you focus your attention, to the new opening, to what is different. The rest of the circle, the 90%, is the habitual you – stress, habits, judgments. The Girls: Continued discussing the reality of fear in this process and noted it is not an excuse. The only reason you don’t change is that you don’t want change. “Where’s my mistaken perception of this moment?” Don’t expect easy. When you attempt to change your life, stuff will come up. The Warrior: Talks about when he “seized the moment” by agreeing to stay with Mariana because of the fierce power of this woman, who knew her truth and stayed in her center. A centered willingness to be vulnerable – open. Be willing to see yourself in a new way. Sit in “what is true now” which is much more interesting than being in outcome. In your center, any discomfort you feel can be attended to. The Matriarch: Noted the beauty of the “Warrior being soft AND stronger than ever.” Be in the moment. What’s your favorite part of being human? Eloheim asked each person that question. The answers and Eloheim’s insights really offered a new way of looking at things. (Before the meeting, attendees were in-joy watching the Giants win the first World Series game. This inspired the Council to change their plans and instead address the subject of Joy). Guardians: There are delights of being human. You have the opportunity to fill the empty space with joy, rather than with fear, habit or distraction. Visionaries: Sports are a great example of what duality looks like. When your team is doing well, there is a feeling of community and oneness. But what does “losing” bring up in you? You can choose to have a non-dualistic experience in a dualistic environment. “If I cannot be in neutral observation about this, then what CAN I be here?” Choose a new relationship to the non-preferred side. Choose to incorporate both outcomes without bringing up a trigger in either direction. If being in nature is one of your favorite things, and it opens your heart, then imagine yourself in nature when talking to others. If you’re feeling down, ask: “What am I choosing to witness?” When you get caught up in the day-to-day, ask what you can bring in – that you love about being human – and put your attention there. Give to yourself first. Emanation is powerful. The more emanation you offer to the world – being in your truth – the more everyone can ascend. Looking for Oneness: First, make space for the fact that it is true. “I know I’m connected to everything else somehow.” You probably won’t feel Oneness, but acknowledge the fact of it, and deal with any fears that come up. Self-center. Second: relax into it. Let go of thinking you can know Oneness in an intellectual way. When you get a juicy taste of Oneness and connection, just be with it. In Ascension, you’ll be more human, not less. You’ll enjoy more and feel more, because your Soul will want to experience more. Souls are very matter-of-fact. They don’t have worries. The Soul is forthright, fun and very sensual. So connect with what you feel passion about. Emanate and magnetize. Your Soul is right there, ready to connect. And when you have an experience of Oneness, understand that it is not reproducible or even explainable, but it is very real. Stop talking yourself out of things, out of what you experience. Acknowledge it. Write it down. Homework: Ask, “Where am I standing in my way today?” Then compare it to “what’s my favorite thing about being human?” How are they the same, and how are they different? Seize the moments you have – to experience the things that you want. Guardians: This is chaos time, crunch time. So what do you do? You monitor yourself. You stay in the eye of the storm. You give the offering of your clarity, of your consciousness. It is all internal; you can never make a change outside of yourself. What gift will you give to this world? It is making that request of you. Are you going to contribute to the chaos or to consciousness? You have to deliberately take the reins of the horses. You can choose to be brave, courageous, forthright, centered, grounded, ready. Every moment will give you a new opportunity. 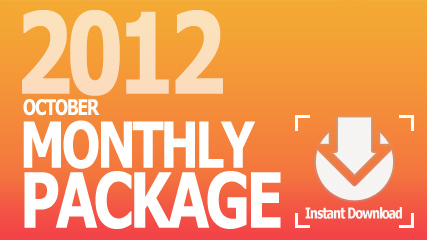 Visionaries: These last two months of 2012 are about getting rid of what you no longer need. 2013 will be about knowing the more of you but, first, you still need to clear much away. It’s discipline time. “I REFUSE to give in to unconsciousness, to linearity, to duality, to old ideas, to limitations. I refuse to be distracted by that thought again; I refuse to say ‘I can’t have.’ I refuse to believe that I have no connection to my Source.” Just refuse. If there’s static in your life, look it straight in the eye. Your desire for insight is the only thing that will take you someplace new. How do you feel about You? In Expansion, there are no rules. The real You is bigger than any box you’ve been given. << Previous Post Eloheim's Greatest Hits! Next Post >> Dec, Jan, Feb Recordings AVAILABLE Now!